Jacob@cces project, presented last April, starts off with the first meeting between technical representatives and associations for the disabled in the Pyrenees regions through which the Camino de Santiago Aragon, Navarra and the French Aquitaine. 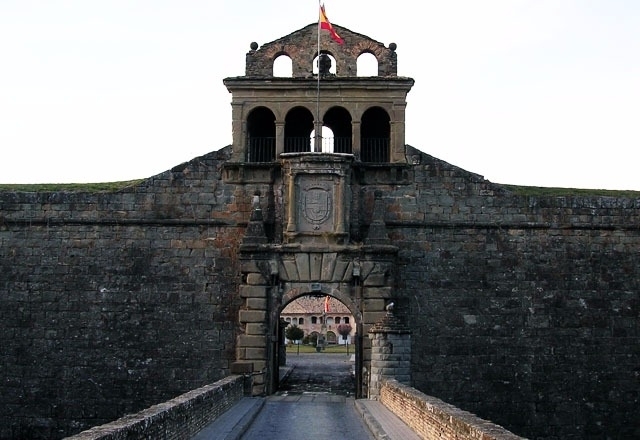 The meeting, which took place in Jaca, seeks to unite efforts to make the pilgrimage route to Santiago accessible space for people with disabilities, raising awareness of the deep cultural, artistic and historical heritage of the Camino. Jacob@cces, funded by the European Union, is a year of work behind and includes the construction of four centers of interpretation, two healthcare and restaurant especially conceived for people with disabilities. The cities of Jaca and Pamplona each will house an interpretive center and the town of Martillue, a shelter for disabled people, while Ostabat, in France, will host another interpretation center, a hostel and restaurant mentioned. It also seeks that all these centers work together to offer elements and complementary and interrelated activities, achieving continuity for pilgrims to visit them. The ultimate goal of this project is that the pilgrims with disabilities have the same opportunities as the rest of pilgrims, seeking social equality. Está bien porque el camino tiene que estar adaptado para todo el mundo.